We learned all about the squirrel. Squirrels are very shy. It hides if it hears strange noises or sees people or large animals. They have bushy tails that help them balance when jumping from branch to branch, it also keeps them warm in winter. 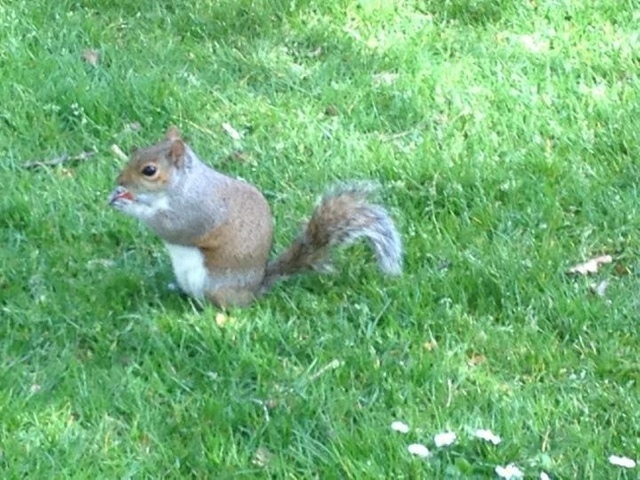 In autumn the squirrel gathers nuts and cones to make a food store for winter. 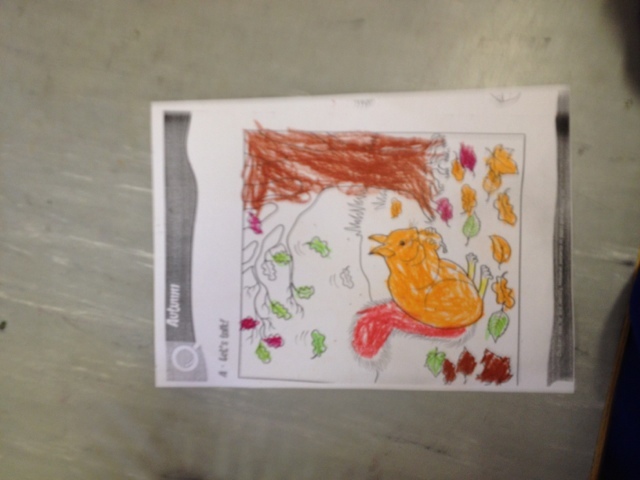 We have been learning all about autumn. 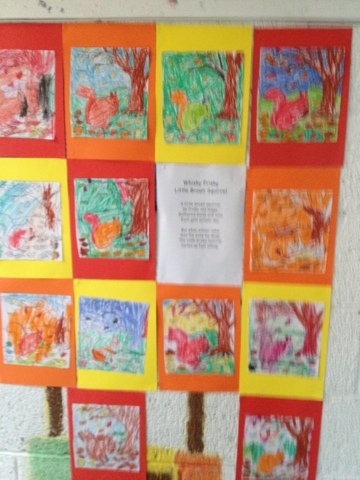 The colours we see in autumn are red, yellow, brown and orange. The leaves are falling off the trees and the weather is getting colder. 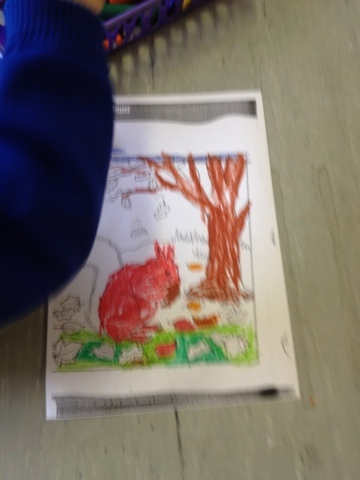 We talked about the animals who are getting ready for their big winter sleep (hibernation).